BBC One HD goes live tonight at 7pm | What Hi-Fi? BBC One's dedicated high-definition channel begins broadcasting tonight, starting at 7pm with The One Show, followed by Wallace and Gromit's World of Invention at 7.30pm. Details of the rest of the schedule are outlined in our earlier story below. 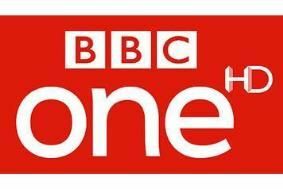 The BBC has confirmed that its full-time BBC One HD channel will launch on November 3rd, carrying a full BBC One schedule. The first night's programming will include The One Show, Wallace and Gromit's World of Invention, food programmes from Nigel Slater and Jimmy Doherty, The Apprentice and Film 2010. And the BBC has announced that EastEnders will go HD on Christmas Day, following Holby City, which is already on the BBC HD channel, but will switch to BBC One HD when the new channel is live. The new channel will simulcast BBC One, with the majority of the primetime schedule in HD. Programmes not made in HD will be upscaled, although some – such as regional news – will not be shown on BBC One HD so viewers will have to switch back to the SD channel. The BBC HD channel will continue, bringing content from BBC Two, BBC Three and BBC Four, and it's expected that by 2012 the vast majority of programmes on the new BBC One HD channel will be originated in HD. BBC One HD will be available on Freesat channel 108, Freeview channel 50, Sky channel 143 and Virgin Media channel 108, with the BBC HD channel moving to Freesat channel 109, Freeview channel 54, Sky channel 169 and Virgin Media channel 187.